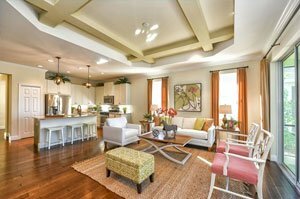 SARASOTA, FLORIDA, February 15, 2018 – Medallion Home, after achieving a banner performance in 2017, is set to build more Sarasota homes for sale in three of its new communities in the Southwest Florida region. Last year, this Sarasota-based builder of semi-custom dwellings posted $106 million in home and lot sales, the highest take in the 34 years that this company has been operating. Volume-wise, it sold a total of 215 residences, with University Village and Cross Creek as amongst Medallion communities delivering top results. Other communities in our region where Medallion has set its footprint include Legends Bay, Twin Rivers, Gamble Creek Preserve, The Enclave at Country Meadows, and The Inlets. For this year, Medallion is starting sales at Aqua by the Bay in west Bradenton, Hampton Lakes in east Sarasota, and The Reserve at Twin Rivers in Parrish. In February last year, Manatee County commissioners approved Medallion’s plan to build offices, multifamily residential units or a combination of office with an assisted-living facility at the Professional Center at Lakewood Ranch. Specifics on Aqua by the Bay home sales have yet to be announced, though Medallion’s website is already marketing the development as “a neighborhood committed to preservation.” Last year, Manatee commissioners unanimously approved this project in spite of strong opposition from environmentalists that it would seriously damage nearby natural wetlands. 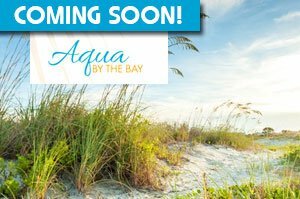 Aqua by the Bay has been approved as a mix of 510 homes, 2,384 residential units for rentals and commercial space of 78,000 square feet. To tackle the environmental concerns, Medallion is setting aside a 260-acre mitigation bank, a distressed wetland which would be restored as an environmental impact mitigation for the 529-acre development off west of the El Conquistador Parkway. Amenities lined up for Aqua by the Bay include open-water lagoons, observation and fishing piers, trails, boardwalks, multi-use fields, dog parks, fitness centers, playgrounds and tennis courts. At Hampton Lakes, home preselling is underway for the community’s 3- to 12-acre lots located off north of Fruitville Road near this corridor’s northwest corner with Verna Road. This property south of State Road 70is about 10 miles of Interstate 75 with the Tatum Ridge Golf Links as one of its neighbors in this east Sarasota area. Prospective buyers of Sarasota homes for sale who opt to search for alternatives in the Preserve at Twin Rivers in Parrish can view a model home for this neighborhood. This residence, priced around the mid-$500s, is designed with three bedrooms and three baths within its floor area of 2,615 square feet. At the same $500s price range, there are three newly listed residences at the larger community of Twin Rivers. These homes, also new builds, feature floor plans of between 2,900 and 3,800 square feet designed with three to five bedrooms with at least three baths. Down the price scale at the $300s, Medallion has a new listing this February at its best-selling neighborhood at University Village, a popular destination for buyers of Sarasota homes for sale. This residence under construction is scheduled for completion this year and features two bedrooms and two baths within a floor area of nearly 1,600 square feet.